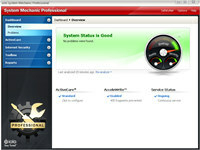 System mechanic pro can help you speed up your pc no matter what your experience level. One-click power tools perform vital services, intelligently diagnosing and resolving pc headaches and performance bottlenecks. Advanced tools such as startup optimizer and energybooster give gamers and power users the total control they crave to fine-tune their system for maximum speed. Exclusive patented activecare technology automatically maintains the pc when it s idle, so your computer can run like new for as long as you own it. Weekly tune-up definitions updates from iolo labs ensure that your pc is protected against the latest performance threats and system flaws. 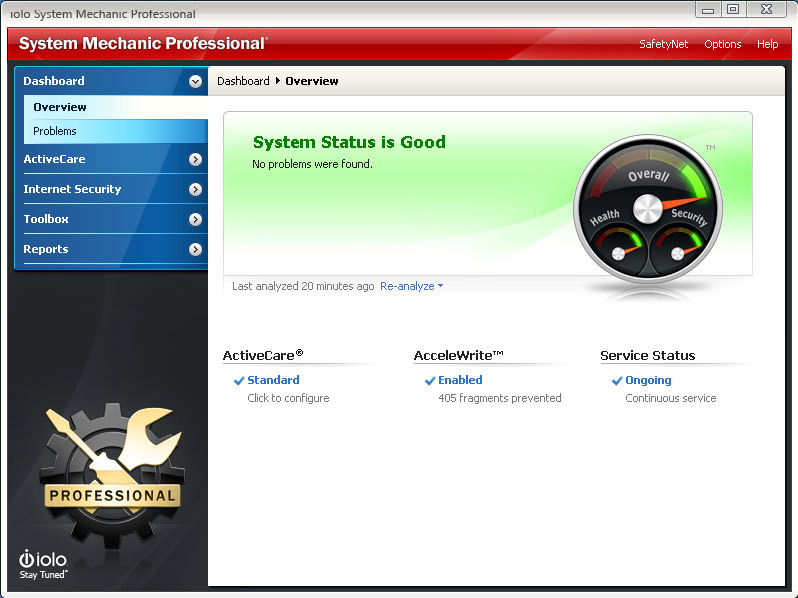 System Mechanic Professional is an utility that works under windows xp, windows vista and windows 7. It supports both 32-bit & 64-bit windows editions, therefore it could run faster on 64-bit computers. Estimated download time for System Mechanic Professional on a common adsl connection is less than a minute. 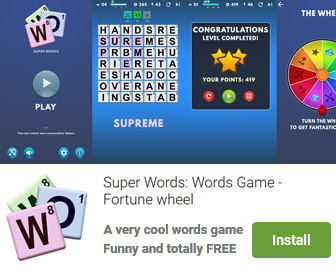 Version 18.7 is brand new and was released twenty two days ago by iolo technologies, LLC. Click the green download button to download it now.